1988-1991 Honda CRX. 1988-1991 Honda Civic. Increase traction to ground. Made of T-304 light weight stainless steel. Acura Integra 1994-2001 hatchback only. Honda Civic 1992 1993 1994 1995 1996 1997 1998 1999 2000 All model 1.5L / 1.6L. Many states are more stringent on exhaust modification laws and to pass SMOG. USDM Spec. 2001 - 2005 Honda Civic 2DR / 4DR. 1 x Front Upper Strut Bar. High Quality, Light-Weight T-6061 Aluminum Bar Design. Slight modification might be require for installation. A great upgrade for your vehicle. 2001 - 2005 Honda Civic 2DR / 4DR. 1 x Rear Upper Strut Bar. 1 x Front Upper Strut Bar. 1 x Rear Lower Tie Bar. High Quality, Light-Weight T-6061 Aluminum Bar Design. United States (Lower 48 States ). One Front Upper Strut Tower Brace Bar. 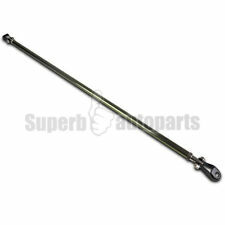 -One Rear Upper Strut Tower Brace Bar. 1992-1995 Honda Civic All Models. 1996-2000 Honda Civic All Models. This combo includes 1988-1991 Honda Civic/CRX All Models except DX. 1988 - 1991 Honda CRX. 1988 - 2000 Honda Civic. 1993 - 1997 Honda Civic Del Sol. 1x Front upper strut bar. High Quality, Light-weight T-6061 Aluminum Bar Design. Slight modification might be require for installation. Part Number: 317 495 A. Warranty: unspecified lengthOverview. 1992 - 2000 Honda Civic. 1 x Front Upper Strut Bar. High quality, lightweight aluminum bar design. 1993 - 1997 Honda Del Sol. Slight modification might be require for installation. Our products requires professional installation and we are not held responsible for installation of the product. 1996 - 2000 Honda Civic. 1 x Rear Upper Strut Bar. 1 x Front Upper Strut Bar. 1 x Front Lower Strut Bar. 1 x Rear Lower Tie Bar. High Quality, Light-weight T-6061 Aluminum Bar Design. United States (Lower 48 States ). 2006-2010 Honda Civic 2 Door / 4 Door. 1988-2000 Honda Civic. 1993-1997 Honda Civic Del Sol. 1988-1991 Honda CRX. Color : Red. PO BOX, GU, PR HI, AK,APO/FPO. USA 48 States. Canada and International Countries. Strut Bar and lower Arm Bar. Equip with the Ultra Racing's strut bar and lower arm bar, both side shock of impact will be neutralized. The force will spread out by Ultra Racing's strut bar and lower arm bar, stabilize the car and provide solid handling. Applications: 1996-2000 Honda Civic EK 1992-1995 Honda Civic EG 1988-1990 Honda CRX Del Sol. Honda, OEM. Ross Racing Pistons. P2R Power Rev Racing. Hybrid Racing. With over 20 years of experience in the automotive industry and a lifelong passion for motor sports, we have the knowledge and expertise to assist you with every aspect of your vehicle. Compatible for HONDA CIVIC EK 1996-2000. 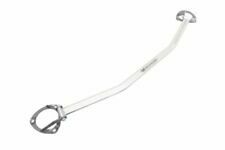 ULTRA RACING Rear Upper C-Pillar Bar 2 Point UR-RU2-679A. With advanced designs and technologies, high quality material and rigorous extensive testing, Ultra Racing promises the best handling experience. JDM Front & Rear Lower Strut Bar! This strut bar reduces body flexing. Color : Blue. We can provide minimal support, but we will try our best to help. PO BOX, GU, PR HI, AK,APO/FPO. USA 48 States. 06-11 HONDA CIVIC ALL. 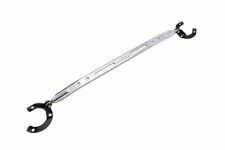 BEST performing lower rear tie bar anywhere at any price! UNIQUE MATTE FINISH! NEW RACING EXTRUDED ALUMINUM REAR TIE BAR. Nicest looking. Add that last finishing touch to rear of your vehicle with these all new aluminum tie bars. 2006 - 2011 Honda Civic 2 doors & 4 doors models. Most of the images provided are for illustration purposes only and may not be the actual products. - For all high price products, Signature Confirmation will be required. 2017-2018 HONDA CIVIC TYPE-R FK8. Engineered inside and out, the stylish oval cross section made of lightweight aluminum. The inside of the piping is designed for the perfect balance between lightweight characteristics and strength. JDM Front & Rear Lower Strut Bar! This strut bar reduces body flexing. Color : Blue. PO BOX, GU, PR HI, AK,APO/FPO. USA 48 States. Custom Mini Mask Series. Giver Your Car That JDM Look in Minutes. Protects Leading Edge of Hood. Great Quality. Stand Out From The Crowd. 1992 - 2000 Honda Civic models. Most of the images provided are for illustration purposes only and may not be the actual products. - For all high priced products, Signature Confirmation will be required. Engineered inside and out, the stylish oval cross section made of lightweight aluminum. The inside of the piping is designed for the perfect balance between lightweight characteristics and strength. 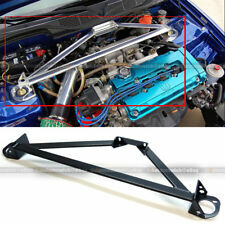 Compatible for HONDA CIVIC EF EG EK 1988-2000. ULTRA RACING Rear Strut Bar 2 Point UR-RE2-066. With advanced designs and technologies, high quality material and rigorous extensive testing, Ultra Racing promises the best handling experience. Designed for the Honda Civic to decrease body roll, this bar ties the chassis from left to right at critical stress points (Between the shock/strut towers). - 2006-2011 Honda Civic (inlude Si) Front. 2006 - 2011 Honda Civic 2 Doors & 4 Doors models. Most of the images provided are for illustration purposes only and may not be the actual products. - For all high priced products, Signature Confirmation will be required. 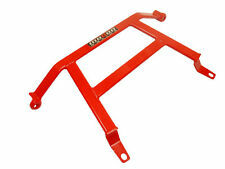 Each strut bar is constructed from CNC machined 6061 billet aluminum, very strong and last very long. Special unique style and the 1.75” width with 0.75” thick bar make them stand out even more. 1988 - 2000 Honda Civic all models. 2002 - 2005 Honda Civic Si. 2001 - 2005 Honda Civic all models. Most of the images provided are for illustration purposes only and may not be the actual products. - For all high priced products, Signature Confirmation will be required. One-Piece Race Spec Strut Tower Bar. Designed for the Mitsubishi Lancer to decrease body roll, this bar ties the chassis from left to right at critical stress points (Between the shock/strut towers). 2006 - 2011 Honda Civic 2 door & 4 door models. Most of the images provided are for illustration purposes only and may not be the actual products. - For all high priced products, Signature Confirmation will be required. Designed for the Honda Civic to decrease body roll, this bar ties the chassis from left to right at critical stress points (Between the shock/strut towers). - One-Piece Race Spec Strut Tower Bar. Upper Strut Bar. 2002 - 2005 Honda Civic Si. 2001 - 2005 Honda Civic. 1 x Rear Lower Tie Bar. The durability and longetivity of each MR strut bar with its CNC machined, 6061 billet aluminum construction. The 1.75" width and 0.75" thickness make them very unique compared to others, and the price is still very affordable. 2002 - 2005 Honda Civic Si. 2001 - 2005 Honda Civic models. Most of the images provided are for illustration purposes only and may not be the actual products. - For all high price products, Signature Confirmation will be required. 2012 Honda Civic 4-door Sedan Only (Including Si). Part Number: MR-SB-HC12RL-R(RED). Most of the images provided are for illustration purposes only and may not be the actual products. - For all high price products, Signature Confirmation will be required. 1988 - 2000 Honda Civic all models. The durability and longetivity of each MR strut bar with its CNC machined, 6061 billet aluminum construction. The 1.75" width and 0.75" thickness make them very unique compared to others, and the price is still very affordable. Designed for the Honda Civic to decrease body roll, this bar ties the chassis from left to right at critical stress points (Between the shock/strut towers). - 2012 Honda Civic (inlude Si) Front. Upper Strut Bar. Designed for the Honda Civic to decrease body roll, this bar ties the chassis from left to right at critical stress points (Between the shock/strut towers). - 2001-2005 Honda Civic (Exclude EP3 Hatchback). 2016-2018 HONDA CIVIC AND TYPE-R FK8. ForNon Type-R Require M12 x 1.25, L=25mm Flange Bolts (x 2 pcs.). Honda Genuine Part #: 90182-S2H-000.